I had a wonderful time at the AWP Bookfair in Los Angeles meeting fabulous writers and publishers from around the world! 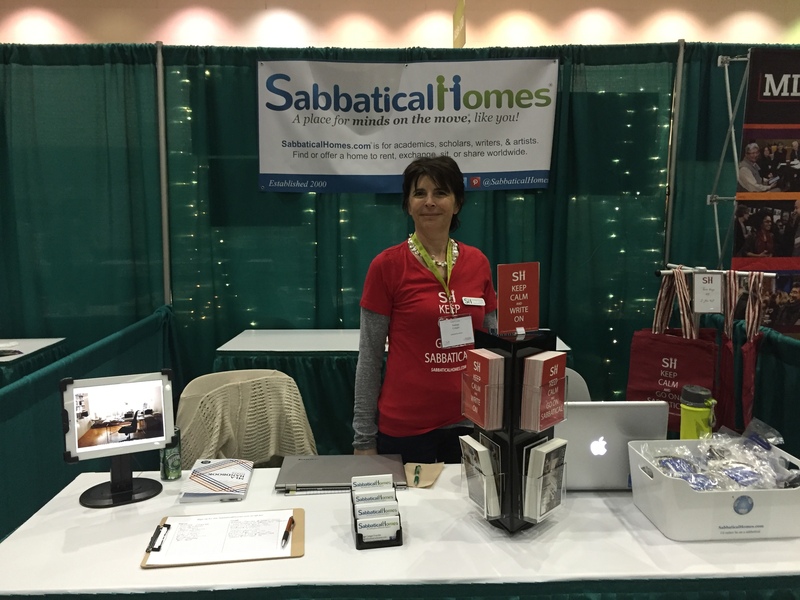 Ever since I created SabbaticalHomes.com back in 2000, I’ve focused on making it a robust resource for the worldwide scholarly community. I decided to go to AWP specifically to spread the word about our dedicated service! 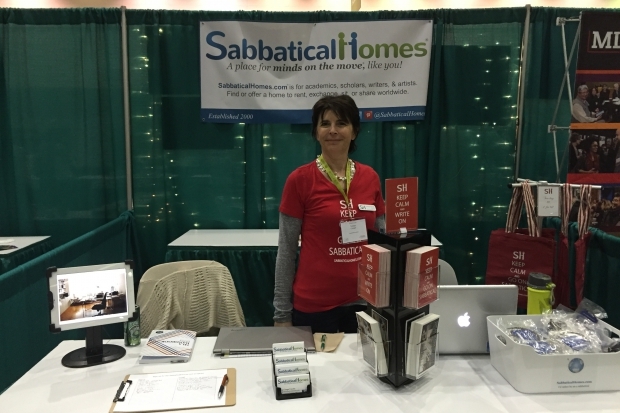 Keeping our network of scholars, writers, academics, and artists strong helps keep Sabbatical Homes running. We don’t want to be known by the whole world, but we’d like as many scholars as possible to benefit from our services. So far I also had very good experience. I wonder if we could add a small place for comments from the tenants where the adds are. Hi Angeles, You may leave feedback for your match within our system. We are currently working on updates to the feature to make it more robust. Thanks for your suggestion!